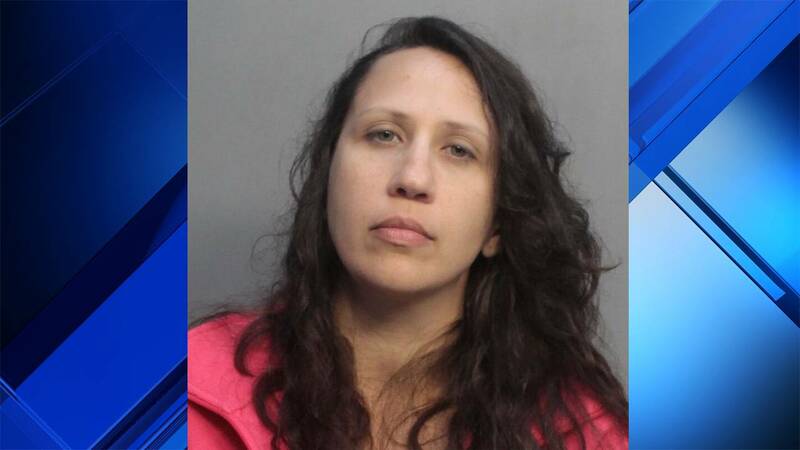 HIALEAH, Fla. - A South Florida woman was arrested Thursday on accusations that she left her son by himself in a U-Haul truck with just a pillow and a blanket because her boyfriend did not want him in their new apartment, authorities said. According to an arrest report, a witness who was unloading a truck Thursday at the Public Storage at 7850 W. Fourth Ave. in Hialeah saw the boy walking aimlessly in the parking lot. The witness told police that he approached the boy and the child told him he needed a phone charger and then went on his way. The man told authorities he saw the boy walking on the west side of the Miami-Opa-locka Executive Airport -- about a half-mile from the storage facility -- after he was done unloading his truck and asked the boy whether everything was OK.
Police said the child told the man, "No. And I am hungry." The witness purchased the boy a meal from Wendy's and asked him why he was by himself. Police said the child told him his mother, Amy Lyn Simmons, 36, of Coconut Creek, left him in the back of the truck with just a pillow and blanket because her new boyfriend didn't want him in their new apartment. The witness then called police. According to the arrest report, the boy told authorities the same story and said that Simmons' boyfriend didn't want him in their home because he argues with his younger brother. He said he was dropped off at the storage facility early in the morning and was told by Simmons' boyfriend that he needed to "learn your lesson." A police officer called Simmons and told her to come to the location where her son was. Police said she claimed she had left the boy in the truck for a couple of hours because she was in the process of moving to a new apartment and did not want to add miles to the rental truck and wanted to avoid paying extra fees. She was arrested on a child neglect charge. Police said the officer notified the Florida Department of Children and Families, which sent an investigator to the scene to take custody of the boy. The boy's age was not stated in the arrest report. It's unclear whether Simmons’ boyfriend will also face charges in the case.